We are very excited to be part of the Shakespeare School Festival which sees locals schools performance various plays written by Shakespeare which takes place at the Lyceum Theatre in Crewe. Our students were very excited to finally work on the stage that they will be performing Hamlet in November. This was a also fantastic opportunity for our students to meet and work with the Fallibroome students who will be performing Romeo and Juliet at the same event. 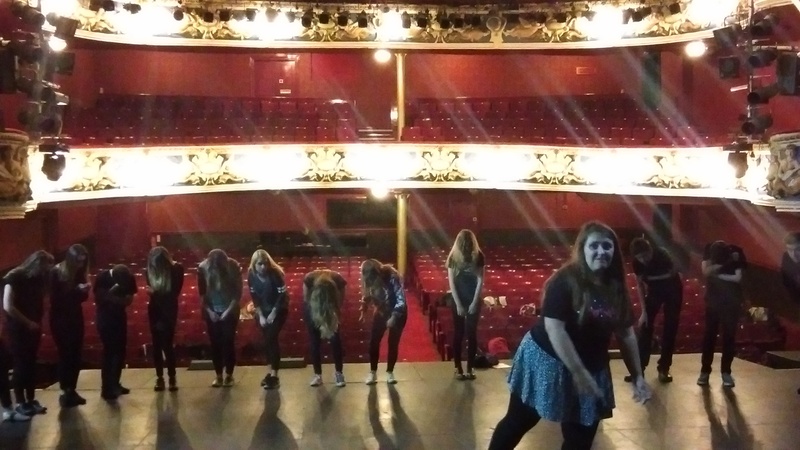 Both schools presented one scene that they felt needed further development and both offered advice and ideas regarding how to improve their performances. Rebecca Ladley and Luke Finnigan will be the light and sound technicians on the evening of the show, they had a meeting with the Lyceum technical crew. The performance will take place on Wednesday 18th November 2015 and tickets can be purchased from Crewe Lyceum Theatre Box Office – 01270 368242.